Check Out the Calendar and Sign Up for a Class. 1.5 hour wind trainer classes for the beginner intermediate and advanced cyclists. The classes work on cycling technique, position on the bike, building cardiovascular fitness, and core strength. Amy is on the floor coaching and working with each rider. 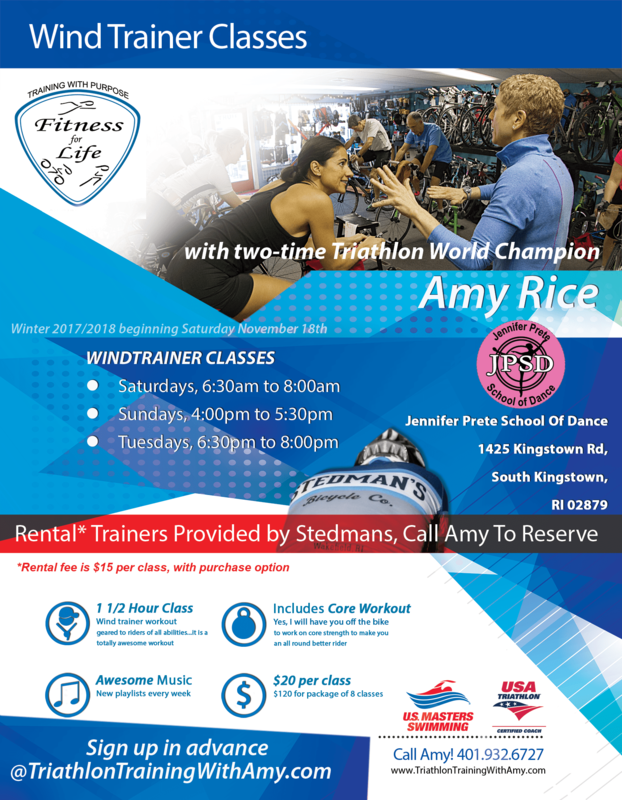 Click on image to the left to see a full-size copy of the Windtrainer Class flyer. Amy will ride with you in a small group or privately. Using a one to one communication system she will coach you on form, technique and overall cycling skills. Each ride will be tailored to specific skills including, hill climbing, bike handling, cadence, interval workouts, body position, nutrition, and breathing techniques.